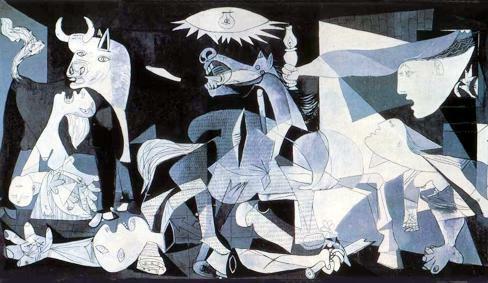 Monday 26 April 1937 was market day in the small Basque town of Guernica. Peasant farmers came from the surrounding villages to buy, sell and barter their goods as they had done for centuries. The smell of sheep and cattle was everywhere and the lively trading only slowed as people stopped for lunch on a bright spring day. At around four o’clock in the afternoon the church bells began – a warning that Nationalist aircraft were approaching the town. Everyone knew that an attack was possible: farmers and housewives, children and grandparents scurried for cover as best they could. What no-one knew was the horrific scale of the assault planned. 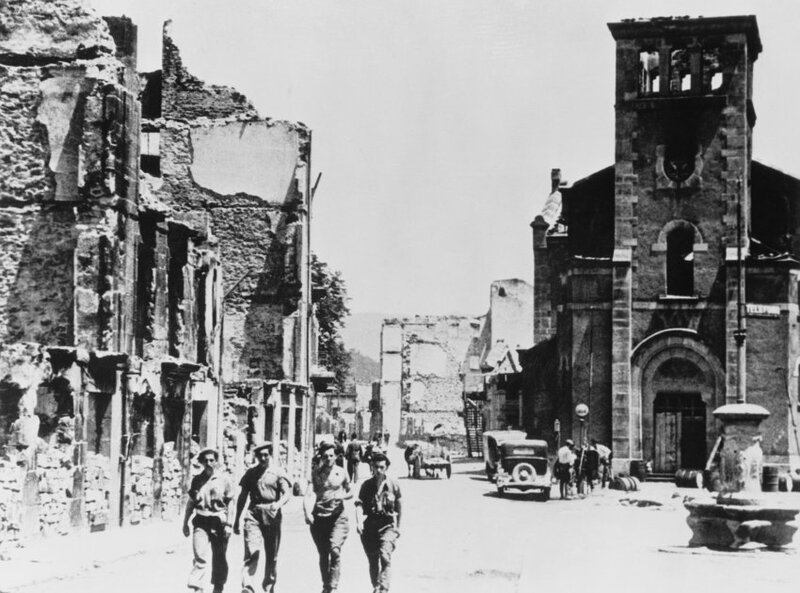 The German luftwaffe rained terror from the skies and deliberately targetted innocent civilians: three hours later the town lay in ruins and hundreds of people were dead. It was the first attack of its kind but not, as the people of cities like London and Coventry would soon find out, the last. The attack was imediately recognised as a war crime. When Pablo Picasso dedicated his most famous painting to commemorating the atrocity the name of this small town entered the lexicon of 20th century history. Our two day tour will take us from the musuem of the Reina Sofia in Madrid where the famous painting is on display to the town of Guernica in the beautiful Basque Country – just four hours away. En route we will stop at various sites of great importance in the civil war. To the pass of Somosierra in the mountains outside Madrid where General Mola’s rebel army , marching on the capital, was stopped dead in its tracks by miltia loyal to the Republican government. To Burgos, the city of El Cid, where General Franco was annointed ‘Caudillo’ or supreme commander in the ancient gothic cathederal of Saint Martha (the building is now listed by UNESCO as a world heritage site). To the once again picturesque town of Guernica which nestles in the spectacular mountains of the Basque country (and where we spend the night). And to the port of Bilbao – of crucial strategic importance in the civil war and now a thriving international cultural centre. This two day tour leaves Madrid at approximately 10.30 am and returns on the evening of the following day. The cost is €425 per person. This price includes all transport in luxury minibus , accomodation in Guernica and museum entry charges in Madrid, Burgos, Guernica and Bilbao. Meals are not included. The Basque country has a distinctive history, tradition and culture. It is especially famous for its excellent cuisine. This tour will focus on the role of Guerica in the civil war but will also explore some of these other aspects of Basque life. 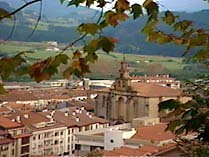 The town of Guernica is just four hours north of Madrid in the heart of the Basque country. 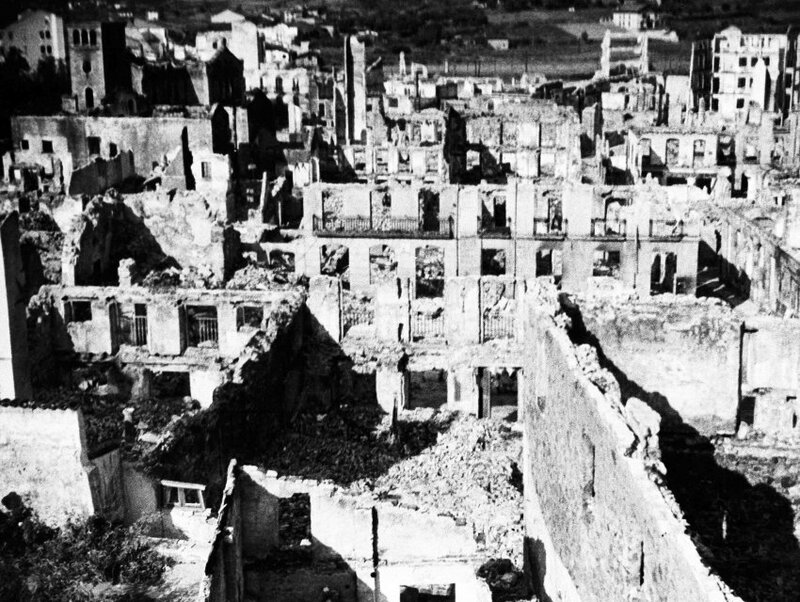 Guernica has long been held by the Basque people to be special place. It is an ancient centre of Basque culture and claims to be one of the earliest democratic communities in Europe. The centuries old tree of Guernica was a meeting point for Basque decision makers and the trunk is still preserved and revered by Basques today. Madrid has some of the finest art galleries to be found anywhere in the world and even a brief look is an essential part of getting to know the city . Less well known is the connection which two of the best known galleries – the Prado and the Reina Sofia – have with the civil war. Out tours explain the history of the buildings, the art work and the context in which they were created.